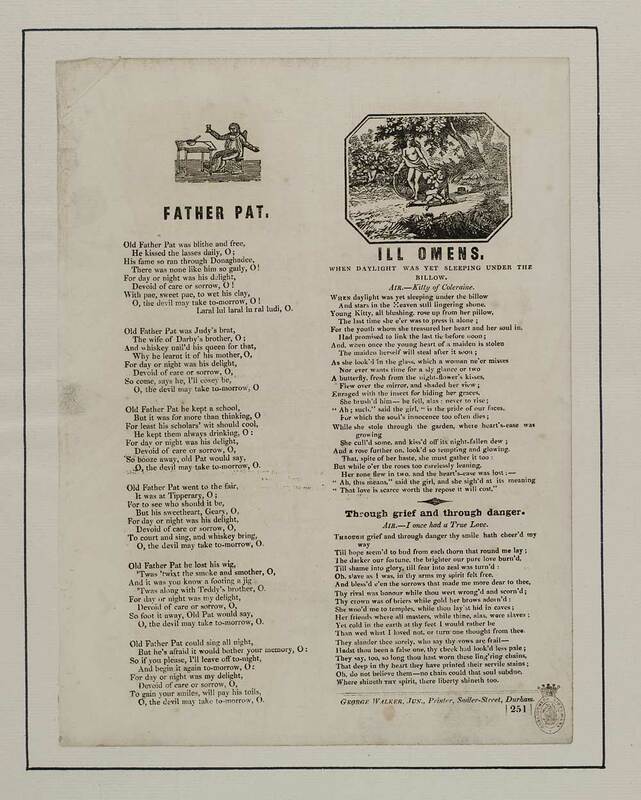 Father Pat - first line reads: Old Father Pat was blithe and free. Ill omens - first line reads: When daylight was yet sleeping under the billow. Ill omens - tune: Kitty of Cole.